Crypto exchanges are the gateway to the cryptosphere. That’s why there are over 200 exchanges in this space. This diversity and distribution are necessary because these are centralized exchanges, and the diversity helps in minimizing the risk. At the same time, they are quite profitable too. We at CoinSutra regularly cover crypto exchanges that we think have the potential to make the lives of crypto users easy. One of such exchange that we will cover today is B2BX. 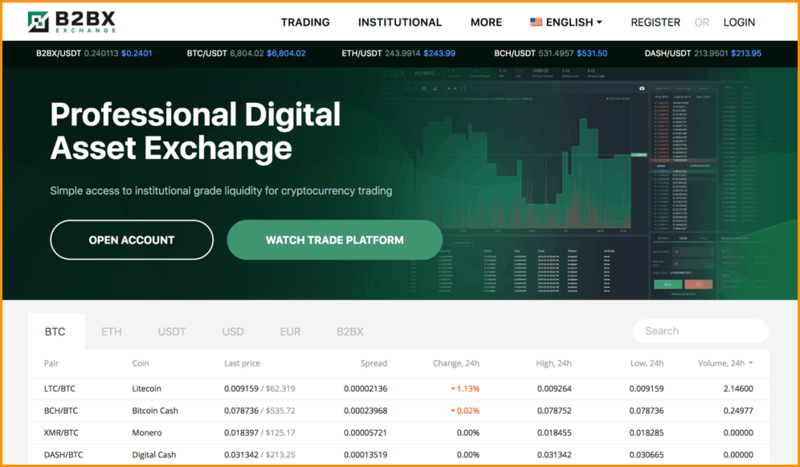 B2BX is a professional digital asset trading platform with institutional level liquidity for its users. 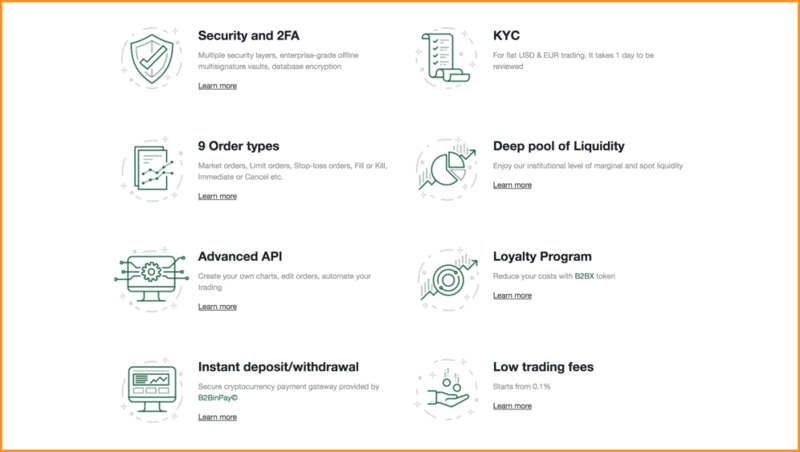 Like many other exchanges, it is also a spot trading platform that allows you to trade major digital assets & cryptocurrencies, including Bitcoin, Ethereum, NEM, Litecoin, Ripple, NEO, Monero, NEM, Dash and many more. 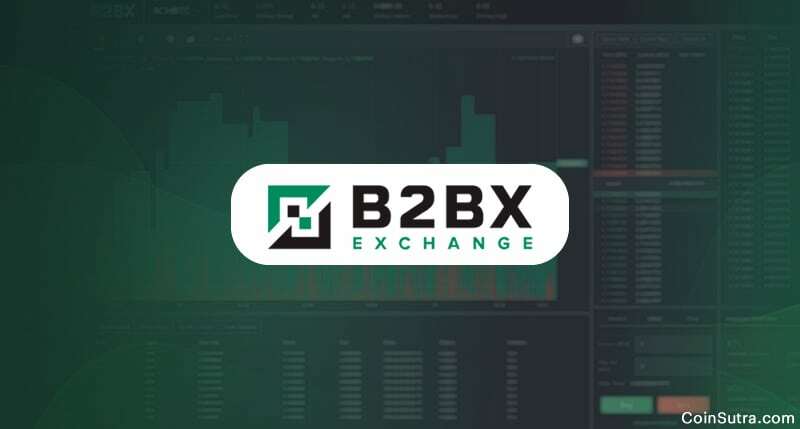 At B2BX you can get your hands on popular trading tools and indicators to execute several different types of trades/orders all in one interface. 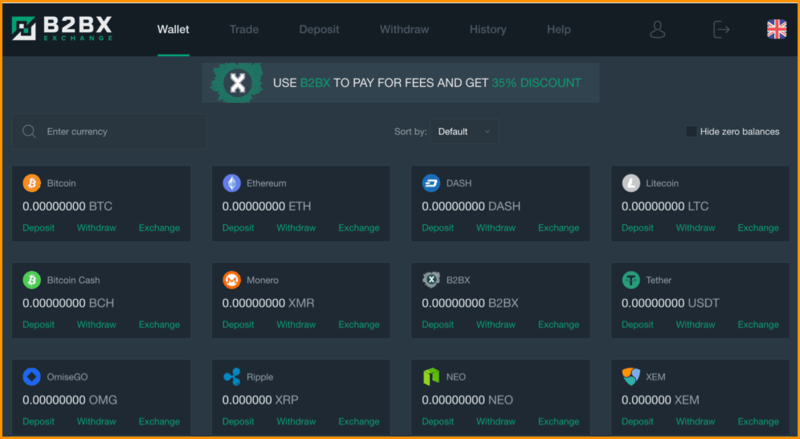 The exchange also provides margin trading for cryptocurrencies. As stated many times earlier, margin trading is for very experienced users, but if you want to dive deeper, read: What is Margin Trading in CryptoCurrency: Learn How to Get Started. The dashboard design is unique in comparison to its peers, and it welcomes you with wallets on the homepage, which is quite neat. 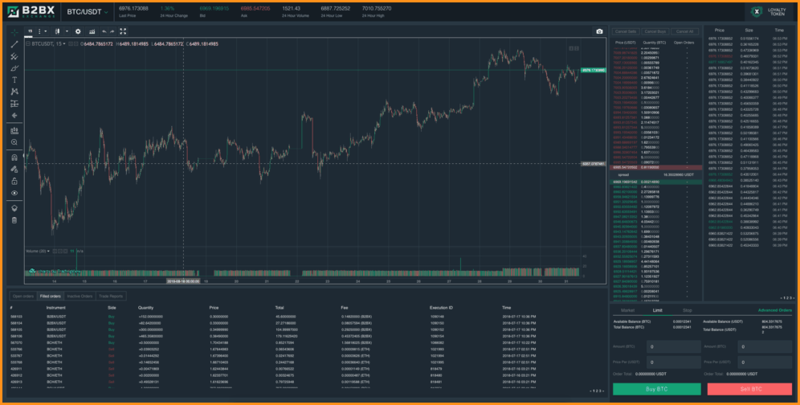 If you are an experienced trader, you might want to explore other features on B2Bx such as market charts for 1-hr, 2-hr, 4-hr, 6-hr, 12-hr or daily or weekly charts. One can also check the buy & sell walls to get an idea of the market depth. You will also find some TA indicators such as Exponential Moving Average (EMA) crossovers, Relative Strength Index (RSI), Bollinger Bands, and Ultimate Oscillator, etc., here. At CoinSutra we always keep safety and security as a priority that’s why we strongly recommend you to use 2-FA authentication via Google authenticator or SMS verification. B2BX supports both as of now, so don’t forget to secure your funds. Apart from that, the B2BX loyalty program offers a 35% discount on all trading done through the use of your B2BX tokens. Plus, they have support for English and Chinese language on their platform with detailed instruction on how to launch your own crypto exchange. This is something totally new and that why I think B2BX is certain to rise higher than other crypto exchanges. Note: Thier mobile apps for both iOS and Android and web apps are on the way, so expect some more features with their launch.